Departs: November to April only - 1.30 pm from downtown McDonalds - by corner of Queen Street and 8 Customs Street East. Tour size: This tour requires a minimum booking of two adults at checkout. Group size is between 2 to 8 people. If you require a single booking please email us here. If we have a pending group reservation we will include you. Duration: 2.5 hours - 3 hours Distance: Around 2.5 km at a leisurely pace. No hills or steps so wheelchair friendly. 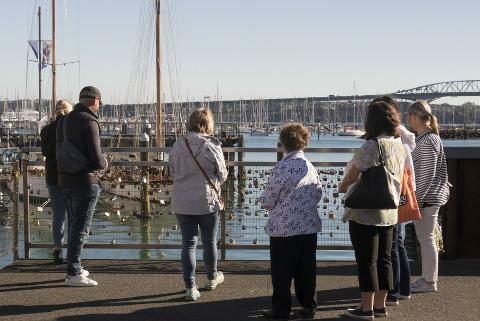 This ‘must do’ Auckland experience combines local culture, history and cuisine with a guided walk alongside one of the world's most beautiful harbors. Your small-group tour starts in historic downtown. 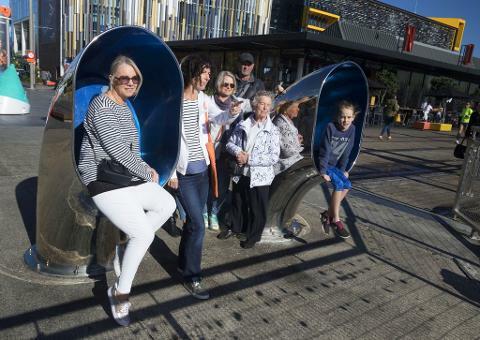 A wander through stylish Britomart reveals Auckland’s vibrant waterfront, ornate ferry building and America’s Cup Viaduct - home to the city's Maritime Museum and mega-yachts. 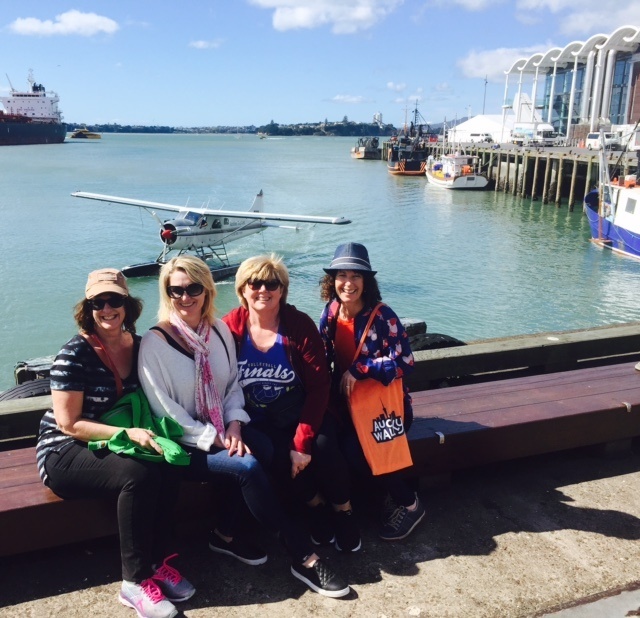 Your entertaining local guide will share the history of Auckland and how it evolved from a Maori battleground into a seaside playground. Pause to admire coastal art alongside picturesque fishing boats and the best vistas of the city, North Shore, Harbour Bridge and Westhaven Marina. 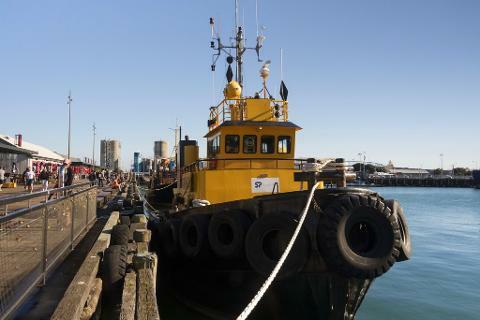 A walk through Auckland’s Fish Market delivers you to a popular waterfront bistro. Here you'll sample a selection of fresh New Zealand seafood and mingle with your guide and fellow guests. At tour's end either relax at North Wharf or stroll the short distance back into town. Your guide will be happy to assist. This afternoon tour runs in the summer months from November to April. FOOD INCLUSION: The selected water-front bistro is a local favorite and can cater for gluten free diets. Please enquire on the day. The food includes a selection of seafood tapas designed to share. Refreshments (other than table water) are at additional cost. Local Auckland guide. Small group ensures personal advice. 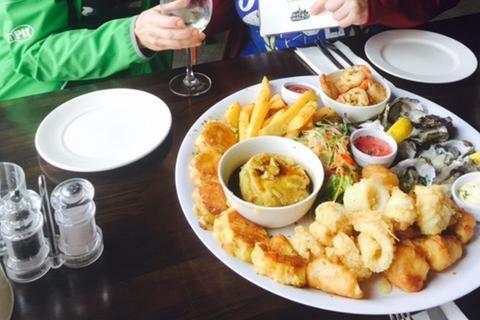 Sample NZ seafood at a popular waterfront bistro.